Brightness Meter is widely applied in paper and cardboard, pulp, cotton and fabric, plastic, ceramic and porcelain enamel, amylum, construction material, chemical industry, salt making and other department that need to test whiteness, yellowness, color and chromatism, as well as transparency, opacity, light scattering coefficient and light absorption coefficient of paper. 1. Test the color and color difference of reflective objects. 3. Test CIE whiteness (W10 Gantz brightness and color cast value TW10). 5. 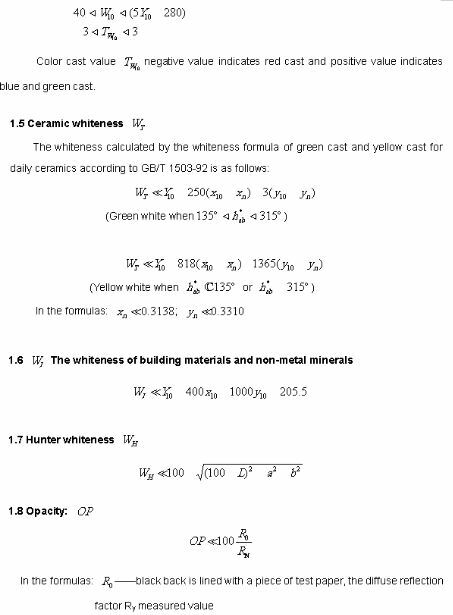 Test Non-metallic mineral products and construction materials whiteness. 6. 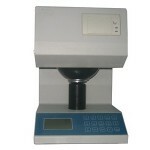 Test Measurement System Lab Hunt and Hunt (L*a*b) whiteness. 8. 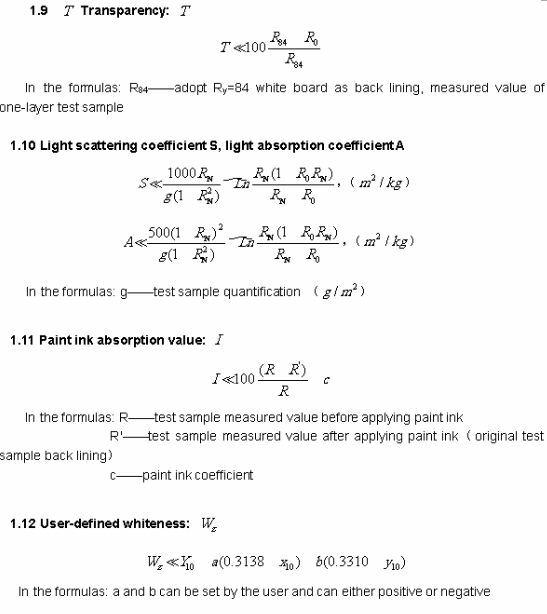 Test non-transparency, transparency, light scattering coefficient and light absorption. 9. Test ink absorption value. Menstruate many times and give series of arithmetic measuring result; Digital display and the result can be printed out; The testing data will be stored while powering off for a long time. 1. Simulate D65 illumination lighting. 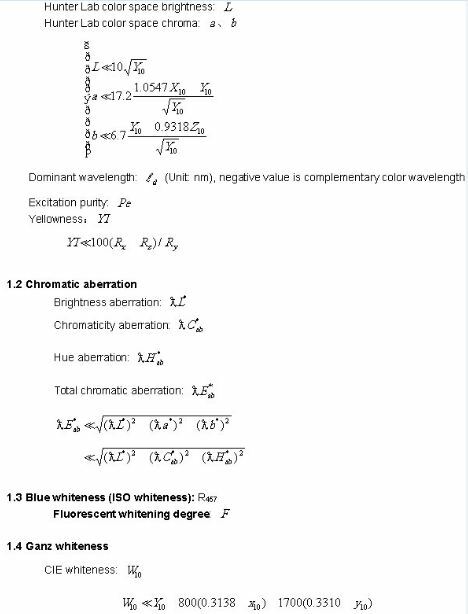 Adopt CIE1964 supplement color system and CIE1976 (L * a * b *) color space color difference formula. 2. 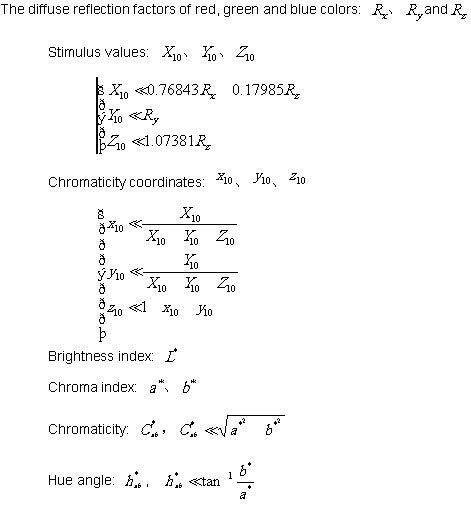 Adopt d / o observation geometry lighting conditions. Diffusion ball diameter of 150 mm, 25 mm diameter of test hole, with light absorbers to eliminate the sample mirror reflected light. 4. Stability of the value: After warm-up, 30min period, Δf ≤ 0.1. 6. Sample size: test plane no less than Φ30 mm, thickness no more than 40 mm. 7. Power: AC 220V 10%, 50HZ, 0.4A. 9. Working situation: Temperature 5 ~35 ℃, relative humidity no more than 85%. 10. Size and weight: 364 × 264 × 400 (mm), 20kg.